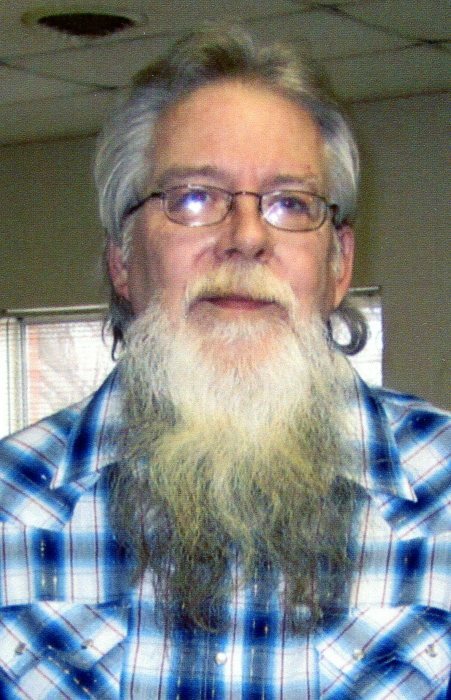 Funeral Services for Randy A. Schultz, 64, Norfolk, will be 10:30 a.m., Wednesday, April 10th at Christ Lutheran Church. Reverend David Goehmann will officiate. Visitation will be 4:00 to 8:00 p.m., Tuesday, April 9th at Home for Funerals on Norfolk Avenue. He passed away Friday, April 5, 2019 at his home in Norfolk. Randy Albert was born February 28, 1955 in Norfolk, Nebraska to his parents Harold and Iva Mae (Wiedeman) Schultz. He graduated from Norfolk Senior High School and obtained an associate’s degree in Mechanic Services from Northeast Community College. Randy worked as a mechanic for Dietz Well, Sherwood Medical, and O.L. Scheer Ace Hardware. He married Ramona Beavers on December 1, 1995 in Vermillion, South Dakota. He enjoyed deer hunting, fishing and motorcycling. Randy liked to watch NASCAR and was a big fan of Kyle Busch. During the Winter Olympics, he enjoyed watching curling. Randy loved to watch shows on the Discovery and National Geographic Channels. He was an avid fan of all Husker sports. Randy is remembered by his family for his fantastic long-term memory and his great mechanical ability. Randy is survived by his mother, wife, children Shawn Bullock, Joshua (Lisa) Schultz, Christopher (Jenna) Keifer, Miranda Keifer (Jesse Gomez), and Clint Keifer, grandchildren McKenna Berney, Emmett Keifer, Kianna Keifer and Leah Gomez, sisters Charlene (Doug) Loughrey of Norfolk and Myra Schultz of Norfolk, and brother Steven (Debra) Schultz of Tempe, AZ. He was preceded in death by his father, grandparents, and in-laws Danny and Barbara Beavers. At the request of the family, casual attire would be preferred for the funeral service. Memorials requested to the family for future designation.